CHANTILLY, Va. - April 15, 2019 - PRLog -- Wow! 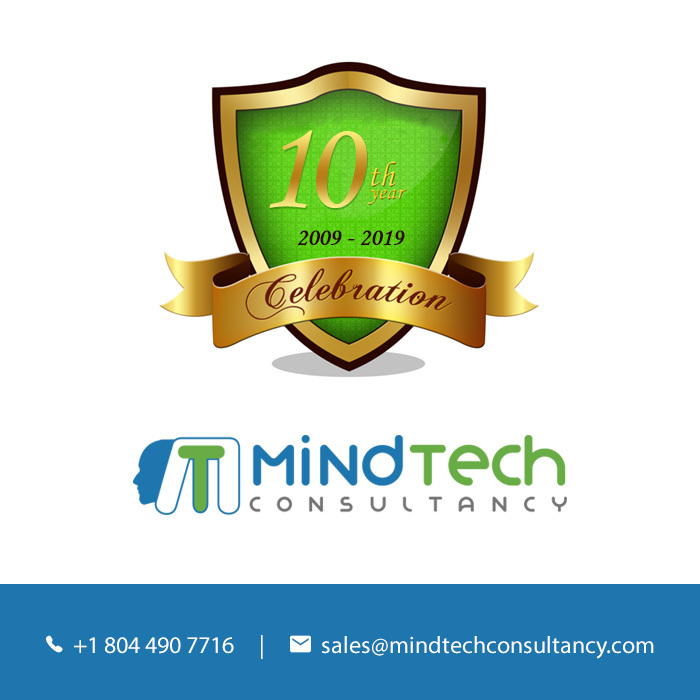 MindTech Consultancy (https://www.mindtechconsultancy.com/) has completed ten big years and undoubtedly all these years are outstanding. It has been an incredible ride. Through all the ups and downs, our team is still the constant one. The team is continually growing. From the first day to the completion of the year, I can't describe the journey in words. The constant hard work, support and how can I forgot my team members and our valued clients, you all taught me that sky is not the limit for the MindTech Consultancy.